IceWarp GroupWare Server is fully integrated into IceWarp Unifed Communications Server & gives users, departments & entire organizations the power to collaborate intelligently & effectively. This is made possible through real time synchronization & anytime/anywhere access to information, including Shared Address Books, company Calendars, Tasks, Files, Journals & Notes, over the web, at your desktop, or on your mobile device. Through support of open standards, IceWarp GroupWare Server allows users to schedule & manage events & company resources. 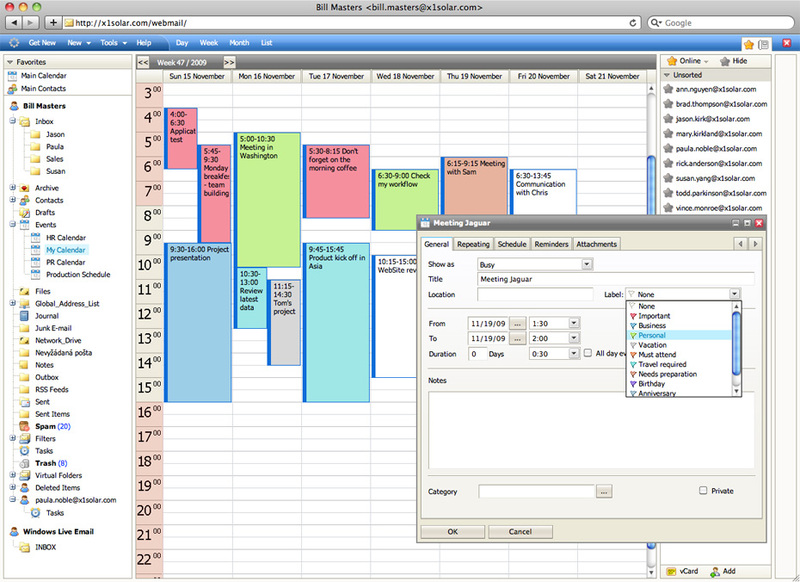 Supported standards include Internet Calendars, Free/Busy lookup, & iMIP for Outlook ® compatible calendar invitations. Users can also manage Address Books, Calendars, Tasks, Files & Journals, syncing data with IceWarp WebClient, Outlook ®, IceWarp Desktop Client & mobile devices. 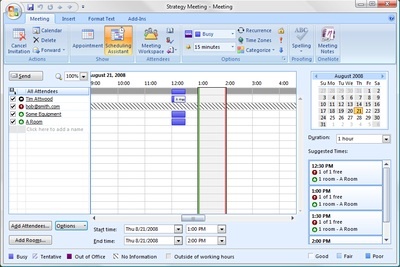 With any calendaring client that can handle meeting invitations (WebClient, Outlook, Desktop Client, Apple iCal, Thunderbird), users can also manage conference rooms and shared resources like cars or office equipment. 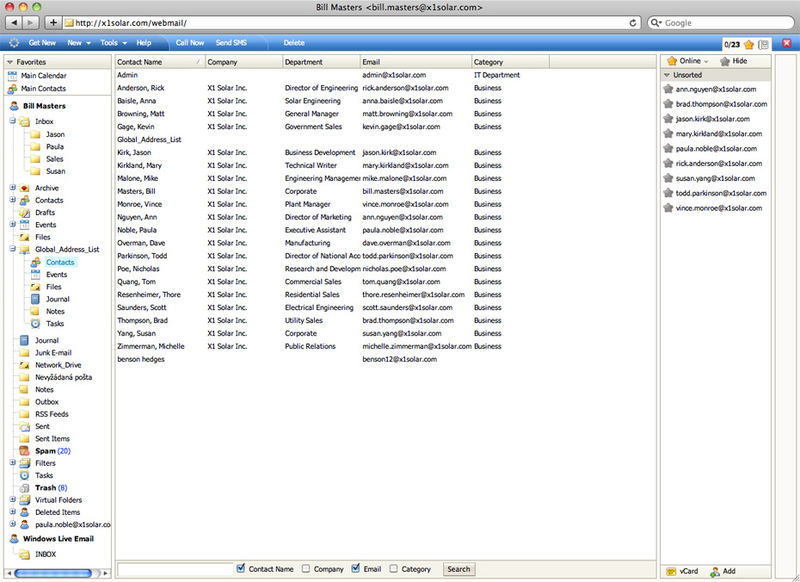 They add the pre-defined resource as an attendee to a new event, suggesting the time according to displayed availability. Subject to approval from preset resource manager, the user is sent an accepted/declined notification and the event is marked in their calendar. Through public folders, IceWarp GroupWare Server data can be shared across the entire organization, among groups, & between individuals. Shared address books can be set as a Global Address List (GAL) providing a company contact directory that is centralized & automatically populated. Each user can manage their individual contact information, which simplifies management, promotes efficiency & keeps contact information up-to-date. Shared Calendars can also be set easily for companywide, departmental, or group Calendars to allow the members to easily keep track of events & important meetings. 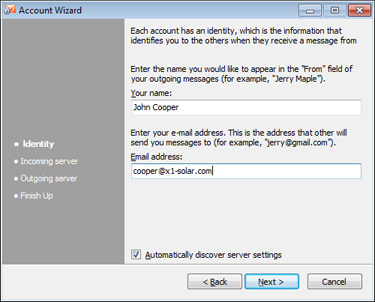 Through flexible permissions, users have the ability to share Email, Address Books, Calendars, Files, Tasks, Journals & Notes, with other IceWarp GroupWare Server users. 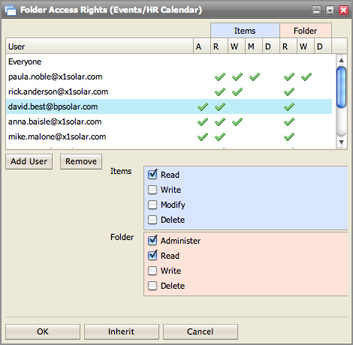 Highly granular control includes Read, Write, Modify, & Delete permissions that can be set. Users are alerted through email notifications that they have been granted access rights to a folder by one of their colleagues. Using IceWarp GroupWare Server, users can save & access important files as if they were accessing them on a local drive or network share. 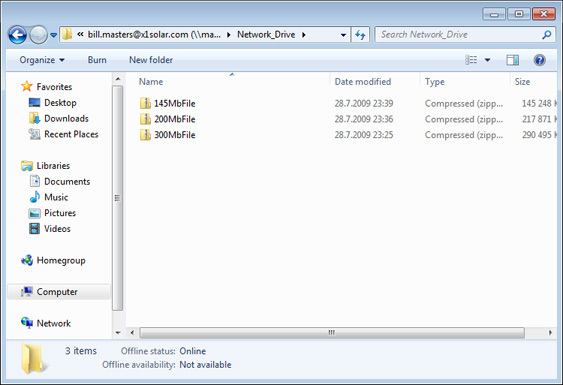 Access is enabled through IceWarp WebClient, Microsoft Outlook or through a network drive via the Windows desktop. Files folders & contents can be shared out to users or groups allowing for easy & seamless collaboration across your organization. End users only need to know their username & password, simplifying deployment of client software. 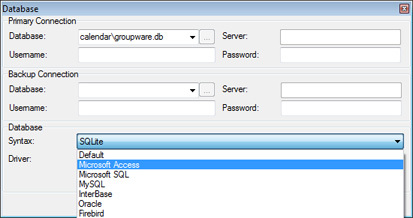 IceWarp SmartDiscover handles the rest, automatically providing access to Calendars, Contact & any other IceWarp Groupware Server data, also IM settings, & SMTP/POP3/IMAP server configuration. Compatible clients & mobile devices can be easily configured without user interaction. IceWarp GroupWare Server includes a unique implementation of CalDAV Server, designed to support a broadest set of available desktop & mobile applications. This is achieved through an innovative combination of the WebDAV, GroupDAV, CardDAV & CalDAV protocols. Supported clients include Apple iCal/Address Book, Mozilla Thunderbird/Sun­bird, Novell Evolution & last but not least, the native IceWarp Desktop Client. This wide, cross platform, support means that no matter what or how your users need to access their IceWarp GroupWare data, even shared Calendars, or Shared Address Books, it is easy. IceWarp GroupWare Server supports out-of-the-box synchronization of Email, Calendar, & Contacts data over-the-air via ActiveSync with IceWarp SmartSync Technology or via the open-standard SyncML protocol. This provides native support for almost every mobile device on the market. For more information view our mobile access section. IceWarp GroupWare Server is also the ONLY solution on the market providing over-the-air synchronization of Tasks, even to phones that do not support this natively, through a Tasks as Events synchronization feature. IceWarp GroupWare requires no special installation or configuration & is ready to use right out of the box. For organizations with more complex needs, GroupWare supports the most trusted database systems, including Microsoft SQL Server, Oracle, MySQL, SQLite, Firebird & Interbase. Optional backup database connection with FS export for the ultimate data retention.